Inflatable games are an incredibly fun way to amp up any party, carnival, or event. UltimateJumpers.com offers tons of inflatable games for sale. They are an amazing addition to an inflatable rental business, because they offer something unique and different. In addition, both kids AND adults can participate in these super fun games. 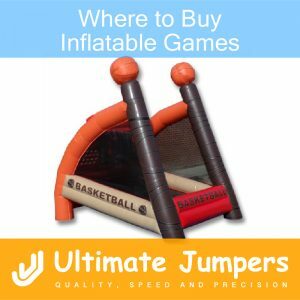 If you have been wondering where to buy inflatable games, look no further than UltimateJumpers.com. The choices for inflatable games are endless and so is all the fun. In addition, these inflatables will brighten up so many faces and make many smiles come alive. Hours of excitement, competition and smiles make for the perfect carnival or party. Clearly, there are tons of options to choose from when it comes to inflatable games for sale in LA. Additionally, Inflatable games are a refreshing way to add some fun competition to any event. In addition, you can’t beat the incredible quality offered by Ultimate Jumpers, Inc.